Contemplation refers both to deep reflective thought, as well as the action of looking thoughtfully at something for a long time. 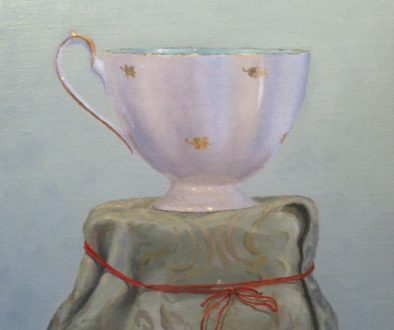 The aim of this painting is to inspire both. By creating a calm, quiet stage, it invites you to settle in, close off the outside world, and allow a few moments of peaceful meditation to inspire and refresh your mind and spirit. And yet, a painting is never a completely static experience. 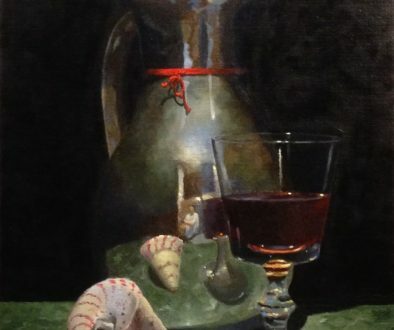 Careful selection and placement of the objects encourage the eye to take a leisurely journey through the composition, stopping here and there to appreciate the details, while stepping back to enjoy the effect of the whole. Good paintings are always blends of thought and action, noun and verb. Static moments melding with active engagements inspire memories and feelings, and reawaken something precious in the viewer’s mind and heart. 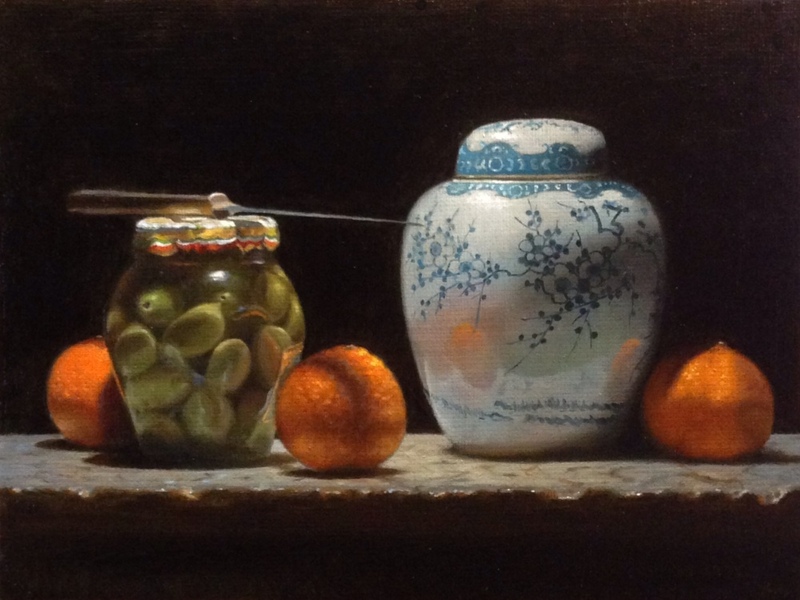 “Contemplation: Oranges, Olives, Ginger Jar” has sold, and is being enjoyed by a long-time collector. 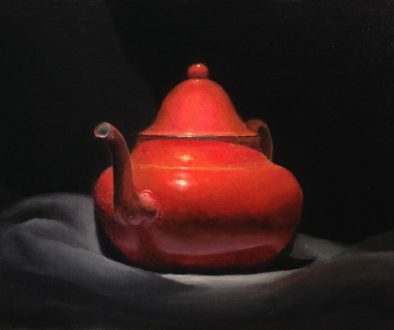 To see more like it, click the “View Similar Paintings” button below.